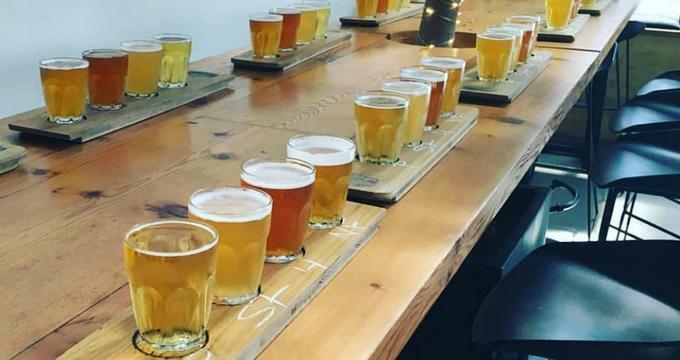 Established in 2013 by Ryan Mackey, a craft beer enthusiast, Vancouver Brewery Tours allows the public to learn more about the various local breweries in Vancouver that are creating a plethora of quality local craft beers. Tour participants have the opportunity to experience and understand the brewing process from selecting the particular ingredients for a desired brew to connecting to the local artist who creates the beer labels. Vancouver Brewery Tour - This is the original brewery tour that includes a visit to three breweries in three different Vancouver neighborhoods. This tour is about 3 hours, and participants will sample an assortment of handcrafted specialty beers. Walking Brewery Tour - Situated in Brewery Creek, this 3-hour walking tour combines neighborhood history with a tour of three breweries. Participants will sample craft beers while learning beer making 101 and local history. Craft Beer & Food Brewery Tour - This is a weekly tour that includes plenty of beer samples along with a complete meal at the final stop of the tour at Big Rock Urban Brewery and Eatery. This is a 4-hour tour that includes visits to three breweries. Vancouver Brewery Tours offer private brewery tours for an assortment of events. Birthday parties, bachelor(ette) parties, family gatherings, and corporate events; a brewery tour is an interesting way to celebrate or enjoy the company of others. The private brewery tours can be augmented to suit the likes of the patron. If there are specific beer preferences, Vancouver Brewery Tours can select specific breweries that meet preferences to ensure that the group enjoys their private tour experience. Private brewery tours can be booked for 1-42 people. These tours are available as either a full walking tour or with full transportation with custom pick-up and drop off service using Vancouver Brewery Tours’ fleet of vans. The Vancouver Brewery Tours offer several products for purchase via their online store. Gift certificates are available for tours as well as for purchasing merchandise from the Vancouver Brewery Tours. Gift certificates are delivered electronically. Other items to purchase from Vancouver Brewery Tours include t-shirts, beer glasses, growlers and bottle savers, and a special gift pack.